An epic YA adventure story about two friends lost in the Canadian wilderness from Danika Stone, the author of All the Feels. Danika Stone is an author, artist, and educator who discovered a passion for writing fiction while in the throes of her master's thesis. A self-declared bibliophile, Danika now writes novels for both adults (Edge of Wilde, The Intaglio Series, and Ctrl-Z) and teens (All the Feels, Internet Famous). When not writing, Danika can be found hiking in the Rockies, planning grand adventures and spending far too much time online. She lives with her husband, three sons, and a houseful of imaginary characters in a windy corner of Alberta, Canada. 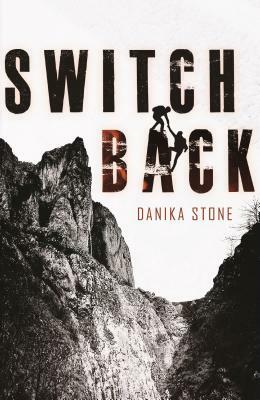 "Switchback kept me on the edge of my seat and reading well into the night. It's a harrowing tale of survival, a vivid ode to the beautiful but unforgiving Canadian wilderness, and a gorgeous story of friendship all rolled into one. You'll want to hunker down with a good, warm blanket as you embark on this thrilling, unputdownable ride."